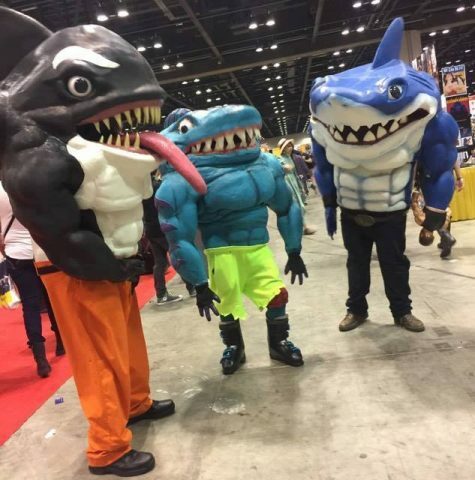 The Street Sharks Go to MegaCon « Adafruit Industries – Makers, hackers, artists, designers and engineers! Since January, we’ve been tracking the progress of a Street Sharks Ripster costume BMP Props and Costumes was tackling for MegaCon. The convention took place last weekend, and Ripster was joined by pals and other crimefighters. Robert Ambercrombie dressed as Moby Lick, Corey Harrison dressed as Streex, and Bryan Doell of BMP Props and Costumes donned the Ripster suit. 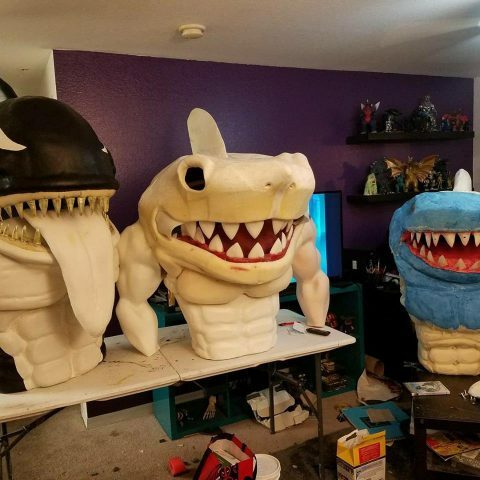 You can see the humble origins of the Street Sharks costumes in the below photo. They garnered an award for 1st Runner Up in the Costume Contest and also scored 2nd place for Best in Show. See more making of photos at Facebook.